Choose from complete landscape design packages or individual services such as horticultural and maintenance practices consulting or hands-on training. Check out pictures of some of our work in our Portfolio. 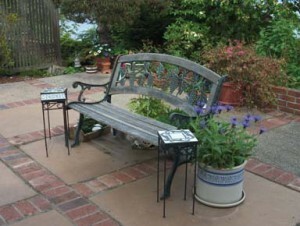 Garden Vision creates landscape design plans for you or your preferred contractor to install. Most design projects require similar tasks such as site assessment, client needs inventory, and stages of design and review. GardenVisionScape includes site assessment and inventory, a complete annotated plant list for the design, 3 collaboration meetings, and 2 sets of drawings. Select one or a combination of services from the list of services that best meet your needs. Garden Vision requests a 2 hour minimum commitment. The average amount of time for each service is listed below although actual time to complete is subject to each client’s specific requirements. 8”x11” not to scale overview to show possible solutions. 11″ x 17″ to scale planting plan for a small area with plant list. Site assessment and client needs inventory, site measurement, scaled preliminary design concepts, scaled landscape design, detailed plant list, maintenance list, complete set of 24″ x 36″ prints. Options: material cost estimate, perspective drawing of focal point, contractor referral, project implementation oversight. Expert evaluation of client landscape to determine optimal use and landscape element options with consideration of topography, features and clients needs. Consulting notes or formal report available. 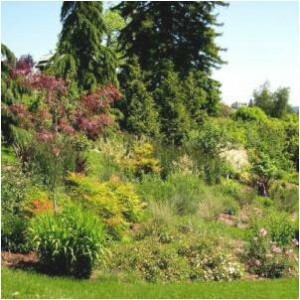 Site assessment & inventory, observations on health of existing plantings, how to improve plant health, demonstrate care techniques, and ecology aware maintenance practices, quick fix recommendations for weddings or garden parties. Consulting notes or formal report available. Provide list of climate appropriate plants for client designated area or planting bed. Source, obtain and deliver plant list selections to client location. Creative, nurturing pruning and plant care for shrubs, small trees, perennials. 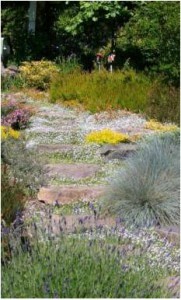 Oversee work of selected landscape contractor, arrange delivery of plant and hardscape materials, etc. Use industry standard formula to determine the value of damaged or removed plant material for insurance or litigation. Association or club meetings, career days, public events, etc. Suggested topics: Low Maintenance Gardening, Do Your Own Site Assessment, Landscape Design for Homeowners, Soils 101, Landscaping for Fire Resistance, Using Native Plants Effectively, Landscapes for Wildlife. See Events for more information. Create a 3D perspective of selected design view or detail drawing of design element (typically used for homeowner association / covenant committee approval). Art ready for your frame!